to the game after 40 years of it being with Seven. Nine's partners include Kia, ANZ, AGL and Uber Eats, but many others are on the ground showcasing their wares. Here's a list of brands with the best activations on the ground. Lululemon has opened a pop-up store at the Australian Open, featuring a special edition Lululemon x Australian Open capsule collection. Guests are able to learn about how the brands products are developed and tested. Uber Eats divided viewers with its game-changing integration into the live tennis action. Tricking viewers into thinking they're watching the live game, the Uber Eats ads pretend to return to the coverage of the game but then the player on court orders a delivery of food. In one instance, tennis commentator Jim Courier announces Australian firebrand Nick Kyrgios is receiving an injury timeout. The ruse is revealed when the sports doctor is unmasked as former SBS newsreader Lee Lin Chin - who is also an ambassador for the Uber Eats brand. The campaign was executed by Special Group and shot before the start of the Open. Vegemite has been rolling out some cheeky outdoor ads, including one targeting the notoriously loud Maria Sharapova. The iconic Australian brand also has tennis-themed merchandise available on the ground, including the ‘Aussie’ t-shirts seen throughout the crowd. 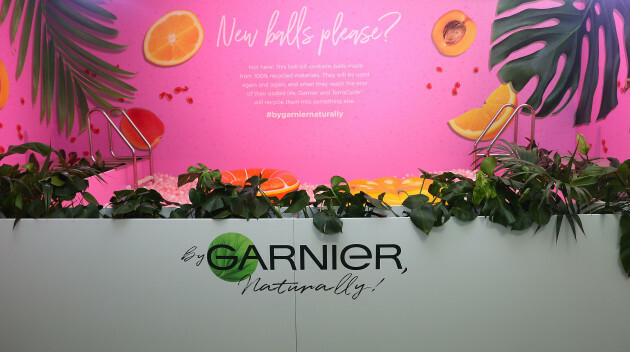 Garnier, the official skincare brand at the Australian Open, created an immersive Nature's Playground for both children and adults. 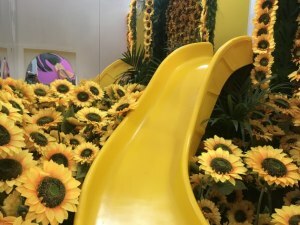 The very Instagrammable space includes a ball pit, slide, sunflowers, bubbles and mini trampolines. In addition, all guests are given a goodie bag worth more than $30. TOMS have created the TOMS x Australia Open capsule collection for the event. The limited edition line is available to buy throughout the tournament both on the ground and online. KIA, a major sponsor of the Australian Open, has both on-site and off-site locations at the event. At Grand Slam Oval, fans can test their 'Caraoke' through augmented reality with Thanasi Kokkinakis and Daria Gavrilova. For the first time the brand is spreading outside of the grounds with live sites in Federation Square and test drives at Southern Cross Station. It’s also released it’s 'Get Mean' campaign, which features Spanish Rafael Nadal recreating car noises. AGL is teaming up with outdoor agency TMS Outdoor to pedal people from the CBD to the Australian Open. The move aims to both showcase Melbourne's love of cycling and stand out outside of the buzzing international “sponsorship war” inside the tennis grounds. Seiko and Initiative teamed up to let tennis fans return a serve from the sport's great Novak Djokovic. The brand said it wanted to use the virtual reality activation to try and capture people's attention. The person able to return the most serves to a pre-set target took home a unique Novak Djokovic special edition watch, as well as $1,000. 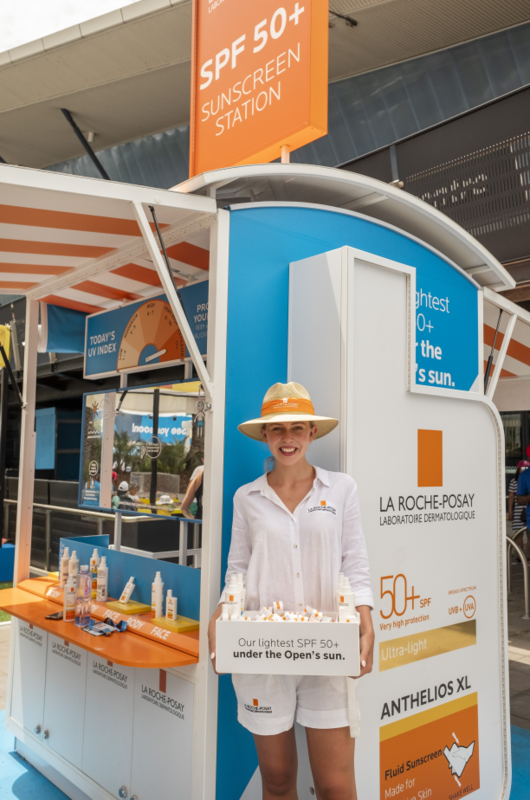 La Roche-Posay, the official sunscreen partner of the Australian Open, is making this year's event the most “sun smart”. It's doubled the amount of sunscreen available from last year, providing tennis fans complementary samples through its Sunscreen Stations. It also built a sandcastle reaching 1.8 metres high in the Ballpark Kid's area build by Australian sand sculpting champion Kevin Crawford. 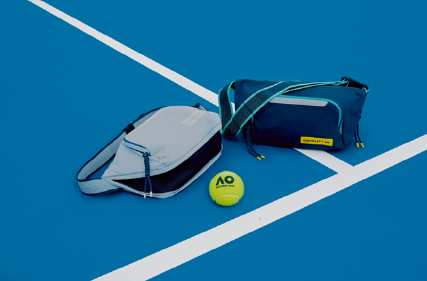 Bag brand Crumpler opened a courtside pop-up store along with its limited-edition bag collaboration with the Australian Open. The brand said it wanted the line to reflect the unique characteristics of Melbourne, including its industrial architecture, boutique retail and food stores as well as the iconic graffiti laneways. The pasta brand is bringing back its much-loved Masters of Pasta custom-built restaurant to this year's Australian Open. It's located in the Vineyard precinct of the Grand Slam Oval and showcases creative pasta dishes. Tennis legend Roger Federer also joins the brand as the official 'Master of Pasta' ambassador. People at the event looking for some reprieve from the heat can find it at Canadian Club's pop up bars. The Canadian Club Racquet Club is also hosting music events if tennis isn't everyone's thing. The booze brand has engaged a number of influencers across social media to promote the pop up. 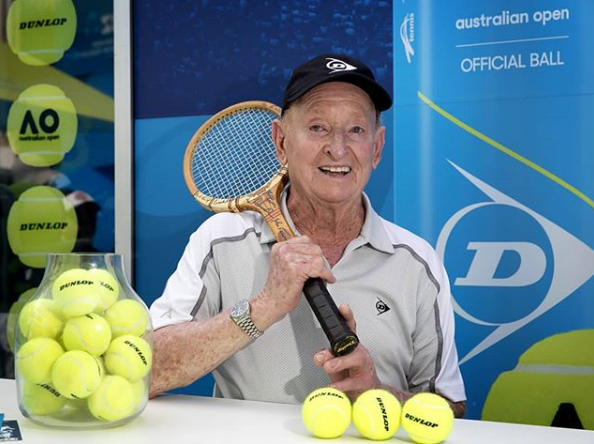 Dunlop had something special for Australian tennis fans this year with Aussie legend Rod Laver joining the brand to sign tennis balls and even answer questions. Aperol Spritz launched not one but two Aperol Club to kick off the Australian Open. It offered fans citrus drinks to take a break during the day. Are there any more we've missed? Email me at mariam@yaffa.com.au. Brands are getting in on the fun at the 2019 Australian Open with creative marketing and unique activations. 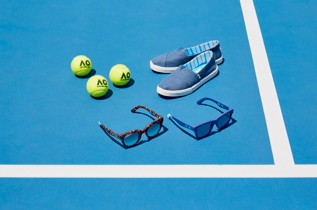 From virtual reality to limited-edition backpacks, there's something for all tennis fans. It's the first year Nine holds the rights to the game after 40 years of it being with Seven.